AHHH can you believe it…its finally OVER! A million years late and I’m finally typing Day 30! These booties are one of my Black Friday purchases! Pointy toe, thick heel, awesome harness buckles! LOVE. & guess what they’re onsale for even less than what I picked them up for right now!! Christmas Eve in NY….50 degrees. Kinda weird, but not complaining. The amount of food I knew I would be eating that night required me to be dressed in something with some give. 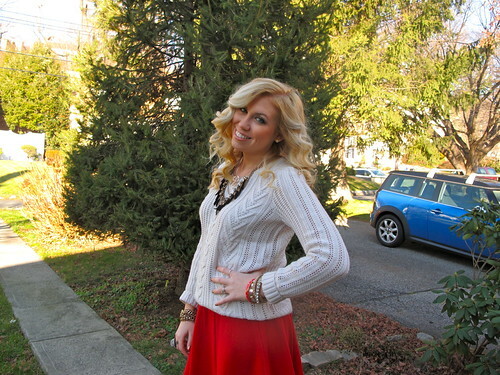 A flowy A-line festive red skirt and a cable knit sweater with an unnecessary amount of jewelry did the job! Love seeing what everyone else wore during the Holiday weekend! 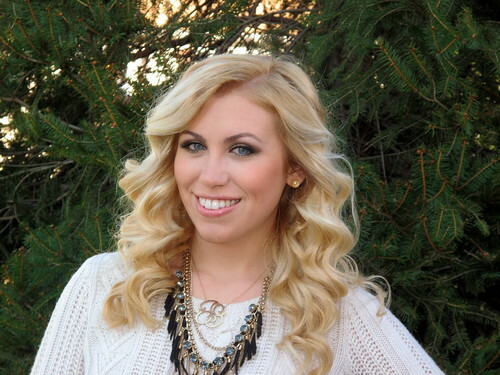 Check out how I did my makeup on this week’s mark. Monday post!